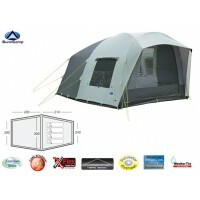 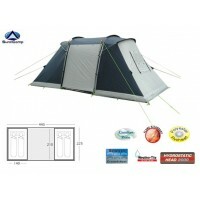 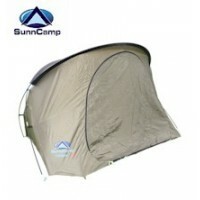 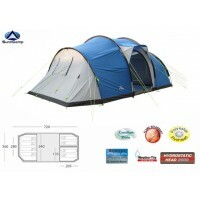 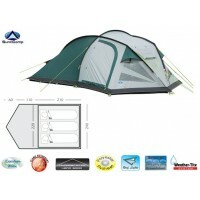 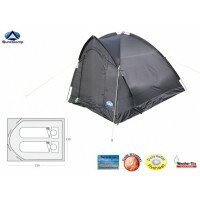 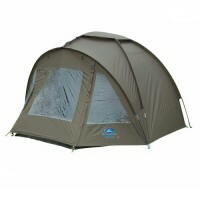 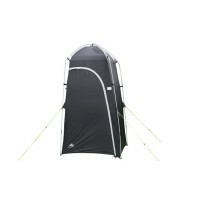 Sunncamp has enjoyed a long history of designing excellent quality camping tents. 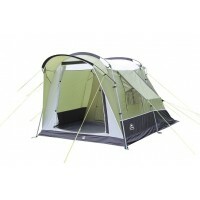 Based in Essex, the Lawless family has steered Sunncamp on an unerring course to produce family tents, touring tents and festival tents that feature quality materials and designs that will stand the test of time. 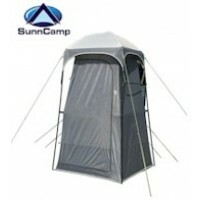 And in recent years, while the cost of some products has shot up, Sunncamp has managed to keep their prices eminently affordable. 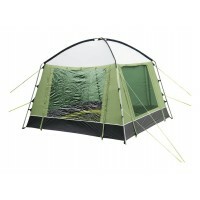 Sunncamp's ever popular style of Vario tent is epitomised by the Sunncamp Invader 400, Invader 600 and Invader 800. 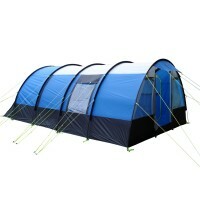 These are tunnel tents that are simple to erect (as all the tent poles are the same length) and offer outstanding head height and internal accommodation. 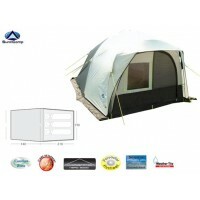 These tents have sewn-in groundsheets and multiple entrances and when coupled with the Sunncamp Verano DL tent extension, offer a real home-from-home environment. 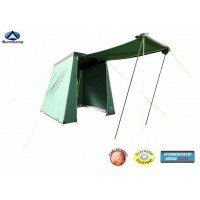 Here are some other great reasons to buy a Sunncamp tent on-line with Outdoor World Shop: Features include; reinforced guying tabs; double seam groundsheets; cable entry point; light living areas; taped seams throughout; colour coded inner tents; durable Oxford polyester pole sleeves; adjustable tension straps; colour coded poles; multiple ventilation points; double seam covered zips; hi-viz guylines and heat reflective groundsheets.